performance and safety for maximum efficiency. 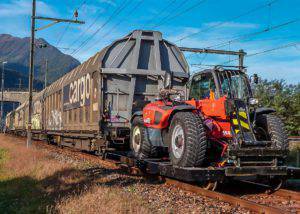 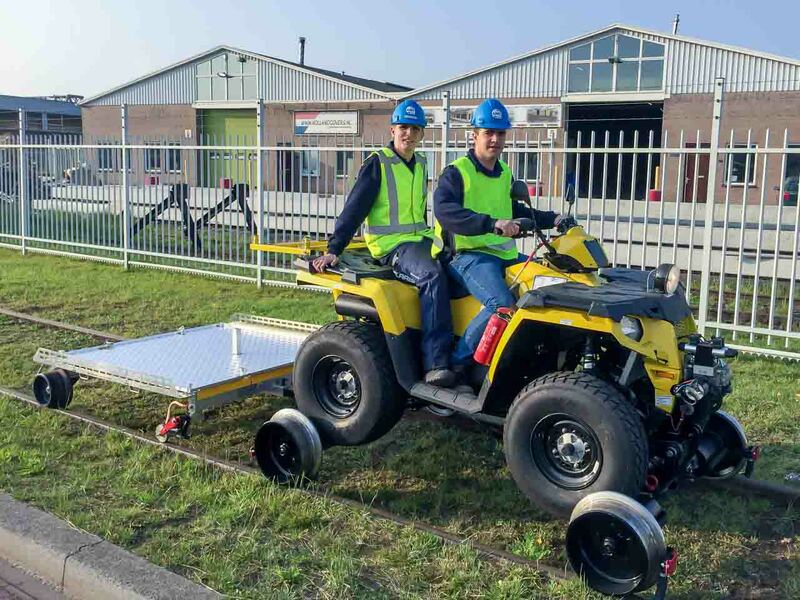 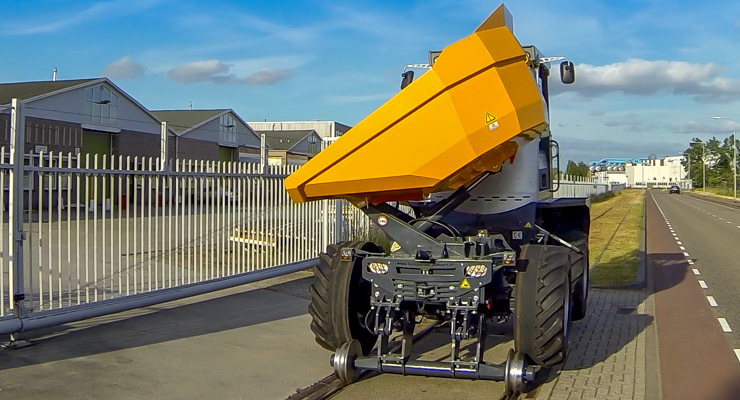 can therefore be used on decommissioned railway tracks. Assembly overlaps national guidelines such as TCVT, Infrabel, BAV, DB. 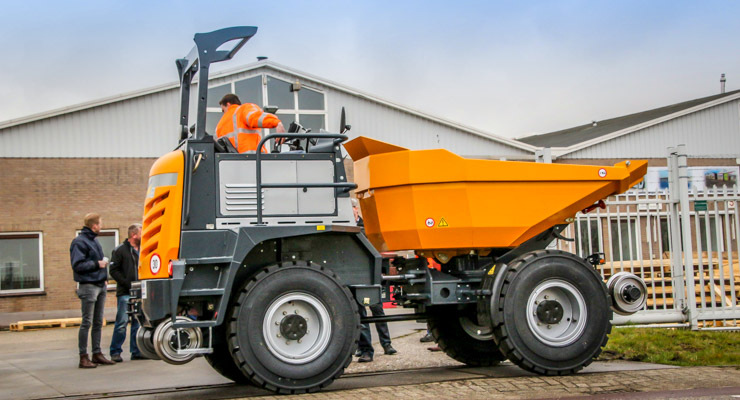 Additional options: Hydraulic drive, metre or tram gauge axles, pneumatic or hydraulic brakes, special load skips. 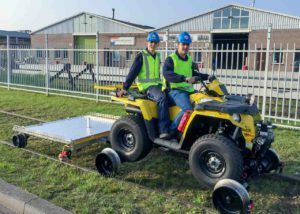 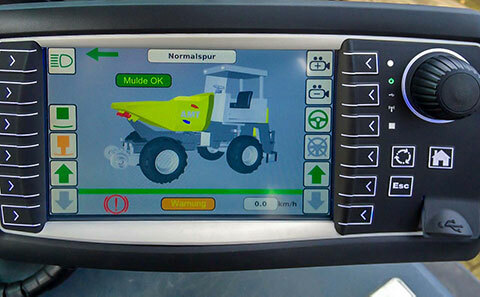 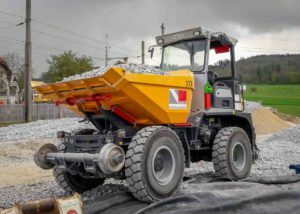 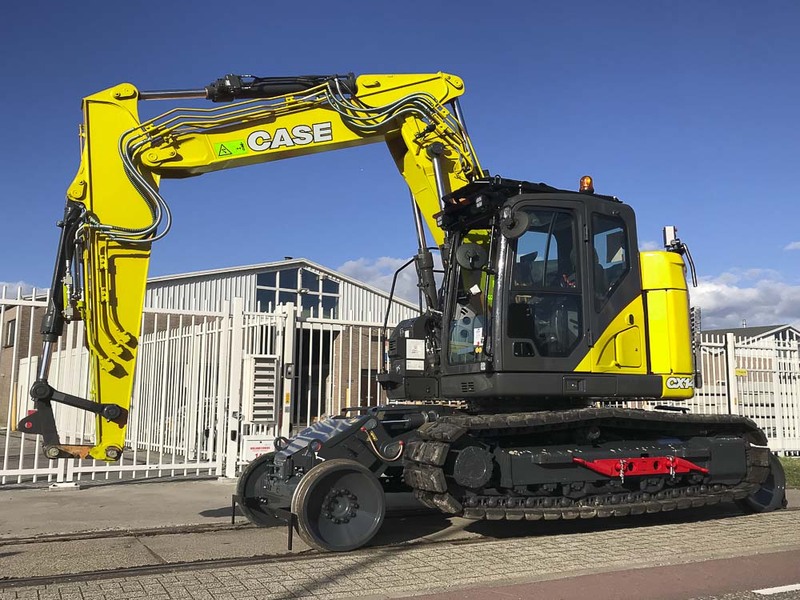 The system can be used for 4 to 12-tonne dumpers. 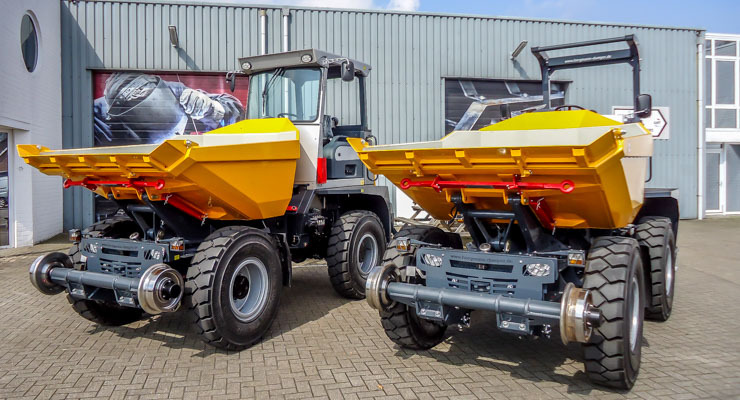 Examples include NC Dumpers, Wacker Neuson and Bergmann 2060 & 2090. 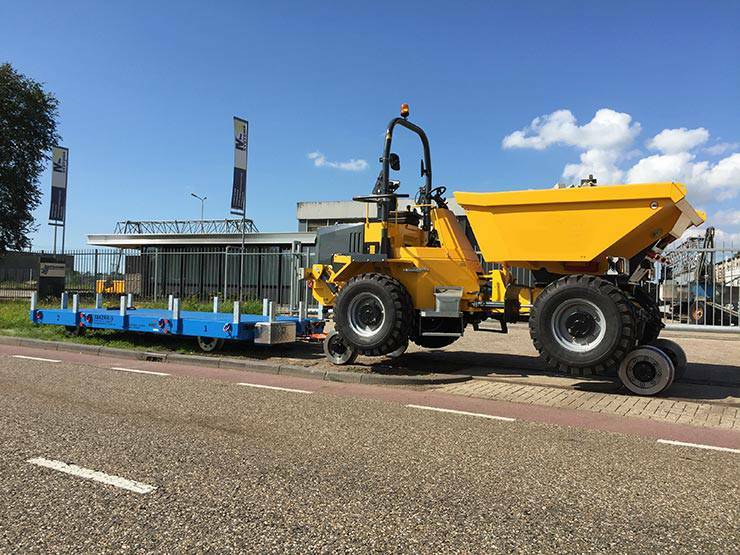 Additional options: Hydraulic drive, metre or tram gauge axles, pneumatic or hydraulic brakes, special load skips.